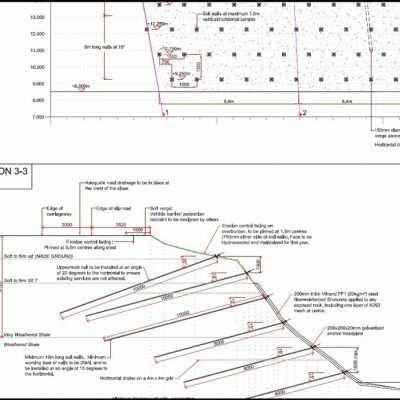 MINI-SOIL NAILING HOLYWOOD 2015 - Geoman Ltd.
Re-profiling of the site levels for a residential development required the construction of a retaining wall to stabilise a steep re-graded bank with severely restricted access. 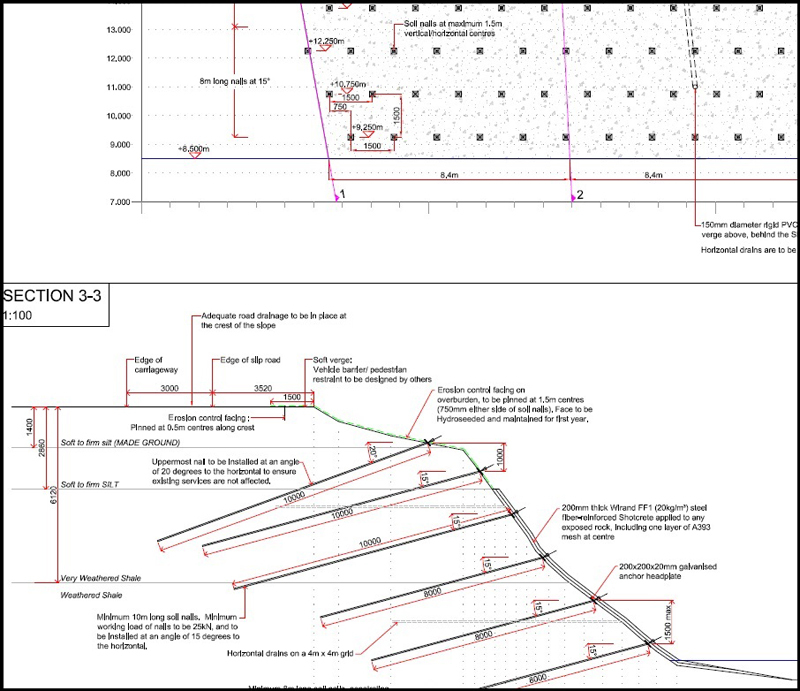 Geoman designed and supervised the installation of the unique Stabilisure mini-soil nail slope stabilisation system in conjunction with a segmental concrete block facing. 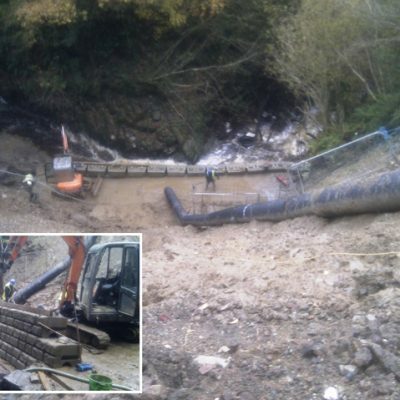 The Stabilisure system can be adapted to any segmental block system and can be used easily with rock netting, erosion matting or geogrids. 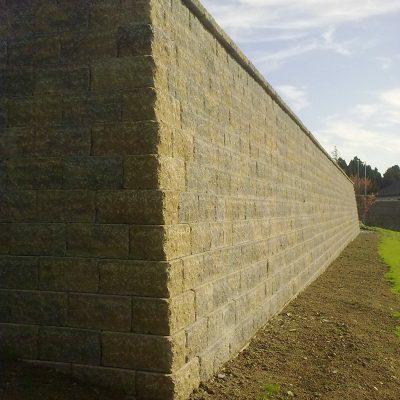 It is ideally suited to private domestic and residential landscaping applications, can be used in most ground conditions and generally retaining heights up to 3.0m. Click here to read more about the construction on Stabilisure’s website.